Currently I’m in St. Kitts vacationing and it got me to thinking about how many people would never think about coming here or about leaving the United States. 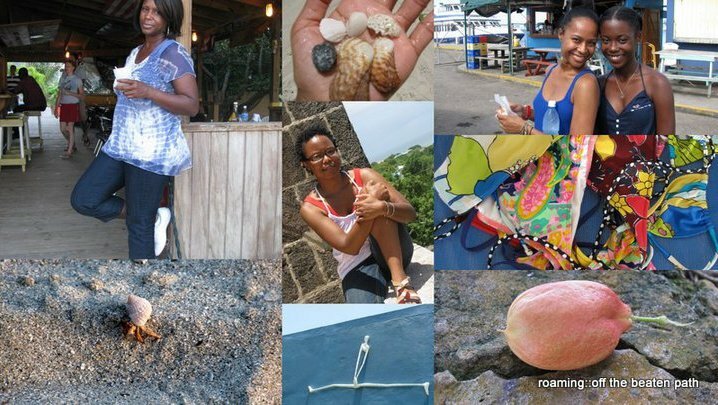 This island is not as developed as a tourist destination as others in the Caribbean but it is filled with tons of history, our history (i.e Nevis had one of the biggest slave markets in the Caribbean). Princess Di and Queen Elizabeth have visited and vacationed here but sometimes we don’t feel compelled to do any traveling unless Jay-z or other rappers boast about a destination in their raps. Then that island or vacation spot is swamped with people who may not necessarily be concerned with the people or the customs. Rumor has it, that some of these rappers, before they were enlightened, were not inclined to leave the comfort zone of America until someone showed them. As a community we tend to be insular and don’t take the initiative to look outside our front door of the possibilities that await us. Most of us don’t live the rapper lifestyle and our experiences may be very different from theirs when we visit the “trend spot”. However we want to say we’ve been to St. Tropez because Jay-z and Beyonce were vacationing there on bossip.com. I wouldn’t recommend St. Kitts to anyone unless you are interested in mountain climbing, water sports, or just relaxing. There is definitely no major nightlife out here. However there are so many other places to explore and so many places to visit. I’m saving my pennies together for my “dream destinations”, Greek Isles, Egypt, Thailand, etc. There is nothing wrong with expanding your horizons a little. Strive to be the trendsetter instead of the trend follower! I’m sure you will be pleasantly surprised. Check out http://www.loneyplanet.com and http://www.tripadvisor.com. **Make sure you check the dates of the posted comments to make sure they are up-to-date. Very interesting perspective. Keep letting people know and encouraging them to go, see and do. It makes us all better people.